A new business cannot function without business credit. It is extremely rare for a business owner to not require some financial assistance in the early stages. However, you will first need to build business credit in order to secure the financial assistance you need at agreeable rates. 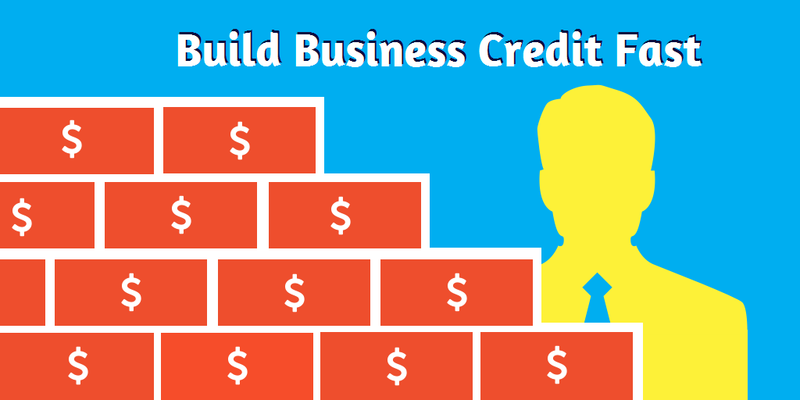 Keep reading below to learn how to build business credit quickly and easily. If you have not already set up proper corporate structure by forming an LLC or some type of business, now would be the time to do so. You cannot establish business credit without having an organizational structure in place. This is the first step you need to take before you ever worry about learning the depreciation formula. Incorporating your business is the first step to building business credit successfully. You will need to open two business bank accounts in order to start establishing credit. The first account should be a business checking account. The second should be a savings account for business. Make sure you deposit some money into both accounts. These accounts need to be separate and apart from your personal checking and savings accounts. This will be required in order to acquire business credit. Your EIN is your employer identification number, or your federal tax identification number. The EIN is like a social security number for a business. This number further establishes your company as a fully functional operating business. That is a must for establishing business credit. The EIN is required for filing business taxes and for IRS compliance overall. Make sure you apply for an EIN as soon as you can. You will also need to set up a company phone line. A dedicated business phone line should be set up with your business name, the same one you used to incorporate and receive an EIN. You will need a this when you are applying for business credit. Make sure to get it done as soon as you can. It is one of those simple, quick wins that will feed good to take care of. After you have completed the above tasks, you can start applying for business credit. Make sure you do this before you actually need the money. Apply for business credit right away. Then, make all of your payments on time and try to keep your balance low. You may have to establish your business and wait two years or so before any lender feels comfortable extending credit your way. That is why opening a business credit card is a great way to establish business credit before you need larger sums from loans or similar. It proves your credit worthiness sooner, so that you can have access to the money you need when you need it. If you are an entrepreneur about to open their own business, you probably do not know the first thing about how to build business credit, especially if you are not all that skilled at managing personal finance. However, this is a must. You may not be able to keep your doors open long if you are not able to establish business credit early on. The tactics above will help you build business credit as quickly as possible. That will help the scalability and flexibility of your business, which is always a great thing for burgeoning organizations. Make sure to follow these tips for building business credit. You will not regret it.